Spring 2013 Advance Registration for regular session students ends at 11:59 pm this Sunday, January 13. There will be a mandatory system outage from 7 am to 1 pm on Sunday, January 13 for required system updates. During this outage, there will be no access to MySJSU (PeopleSoft), campus internet, or central campus resources like SJSUOne. If you are unable to register for your classes by 11:59 pm on January 13, you may do so during the Late Registration period, which begins at 7 am on Wednesday, January 23. MySJSU/HSJPRD is back online after last weekend’s major upgrade. Sign in now and take a look around! Please note that you should clear your browser cache before signing in. You may be required to validate the certificate once you click the sign in button. This is normal when we bring an upgraded site back online. 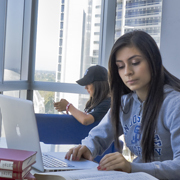 As a reminder, the majority of you can sign in with your SJSUOne ID and password. Alumni, along with SLIS faculty members, should use your old MySJSU IDs and passwords. See My Password/Sign In Help for details. Updated user guides and quick steps have been posted to help you navigate the updated system. Additional tutorials are being developed so check back over the next few weeks for more updates. If you experience any difficulty signing in, are missing pages you used to see, or discover any errors, please contact the CMS Help Desk with the details (cmshelp@sjsu.edu / 408-924-1530). We appreciate your patience as we worked through the upgrade process. Comments Off on MySJSU/HSJPRD Back Online!